Perth-based South African writer Sisonke Msimang was raised in exile in the 1970s and 80s by her South African freedom-fighter parents. Her childhood and early adulthood were spent in Zambia, Canada, Kenya and the United States. After apartheid, her family was finally able to return to South Africa, but as it turned out, that wasn’t to be Msimang’s last move. To read this memoir is to witness a personal and political response to oppression in remarkably recent history. Msimang is explicit about who she is, where she has come from and the battles she has fought – and continues to fight. She is also frank about how her family’s experience differs from those in positions of greater, and lesser, privilege. It is not possible to do this book justice in so few words. 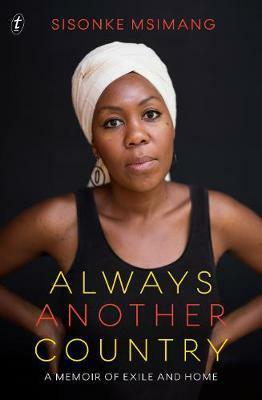 Msimang engages with recurring issues: racism, feminism, and class; but this is also a story of a young girl’s childhood, coming of age, and family; of politics, democracy, fighting for ideals, and seeing idols fall. Above all, it is a story of a search for and construction of identity. Always Another Country is eloquent and powerful. Msimang’s explication of what it means to be from – but not of – a place is profoundly moving. Msimang deserves to be widely read and fans of Roxane Gay and Maxine Beneba Clarke, in particular, will not be disappointed.